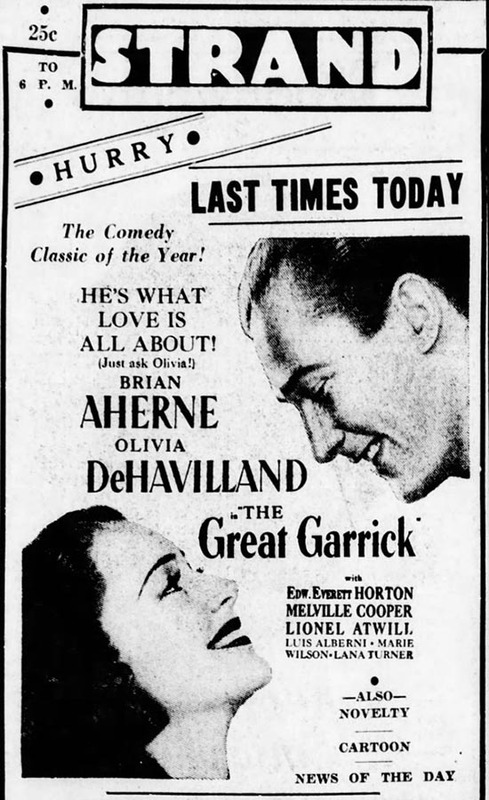 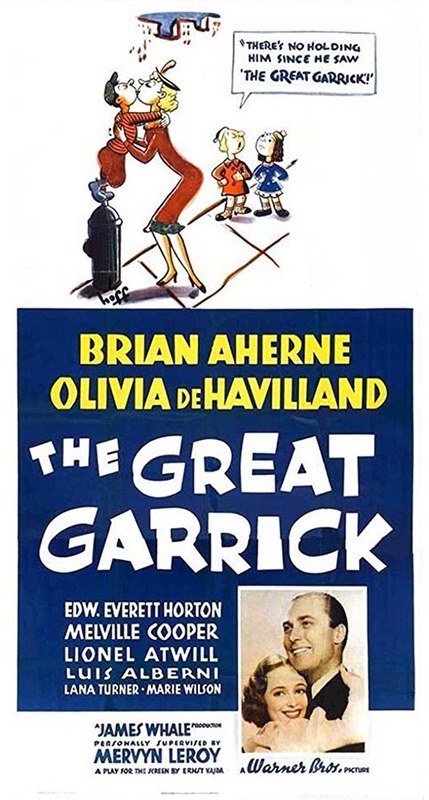 “The Great Garrick” is a 1937 American historical comedy film directed by James Whale and starring Brian Aherne, Olivia de Havilland, and Edward Everett Horton. 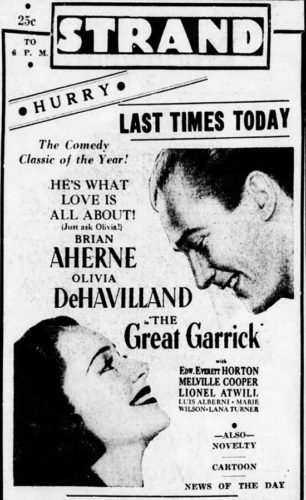 The film also features Lionel Atwill, Luis Alberni, Melville Cooper, and future star Lana Turner, who has a bit part. 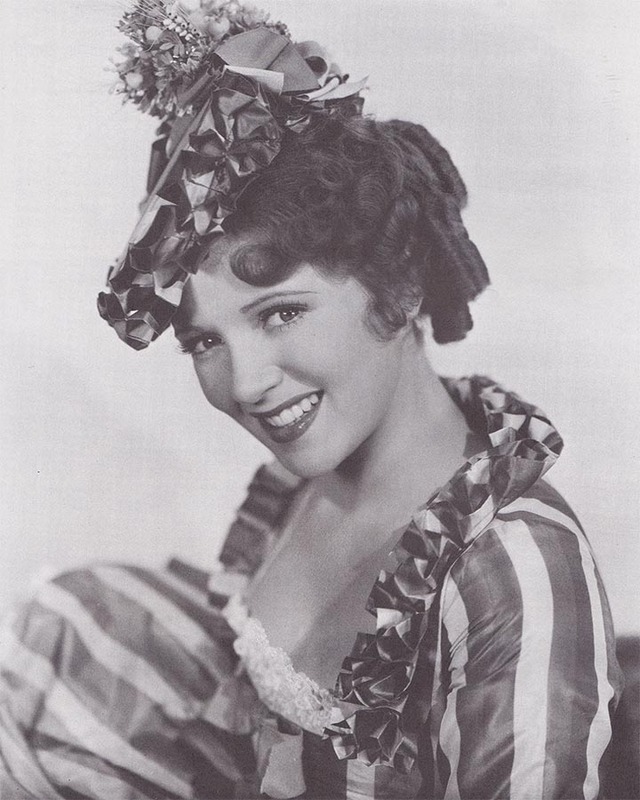 Based on the play “Ladies and Gentlemen” by Ernest Vajda, the film is about the famous eighteenth century British actor David Garrick, who travels to France for a guest appearance at the Comédie Française. When the French actors hear rumours that he said he will teach them the art of acting, they devise a plot to teach him a lesson. 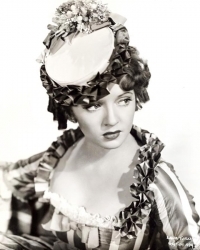 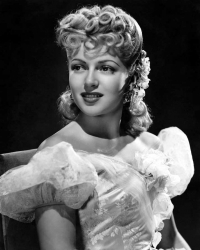 Lana Turner plays the part of Auber, a member of the Comédie Française masquerading as a country chambermaid.